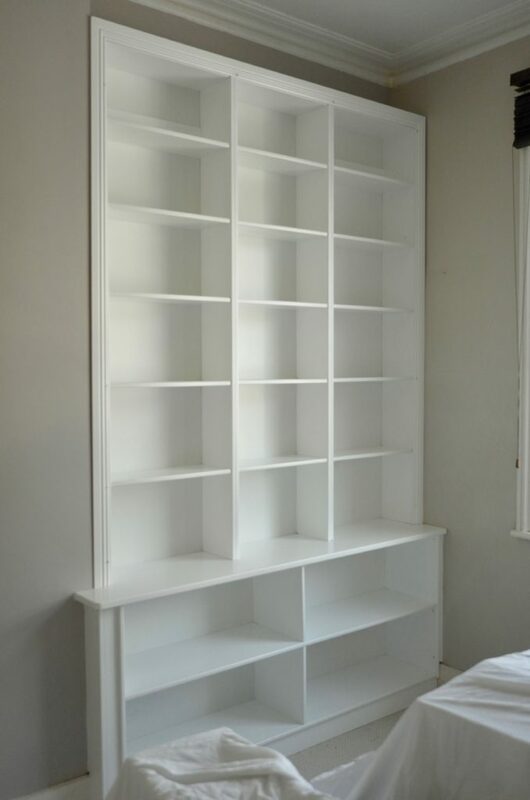 In this recent project I worked to build a pair of very large fitted bookcases for a Victorian Era property in Kemptown, Brighton. As is often the case with properties of this period the first floor features tall windows and very high ceilings, the bookcases here needed to reflect that scale and grandeur. 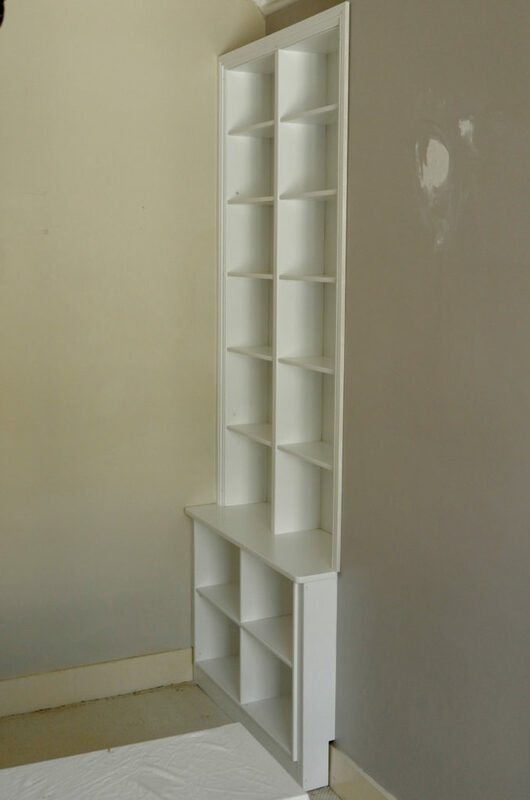 The bookcases were designed in keeping with the historic style, but with a bright modern finish. After several hours of careful forming and sanding the boards are then sent to the paint-shop for a week to achieve a very fine satin finish.